I have a deep, dark secret. I own Lost in Translation because I'm aware of how critically acclaimed it is, but the only time I tried to watch it I turned it off after 10 minutes. I was young and dumb and not in the mood for a slow moving romantic drama. If you can even call this that. Lost in Translation has so much more to do with its atmosphere than anything else that it's not really worth bothering to try and squeeze it into a genre. The movie is so tranquil and serene that watching it almost puts you in some kind of meditative trance. I once read somewhere (I think it was here) that a masterpiece is nothing more than a movie in which every scene flawlessly executes the same clearly defined goal. 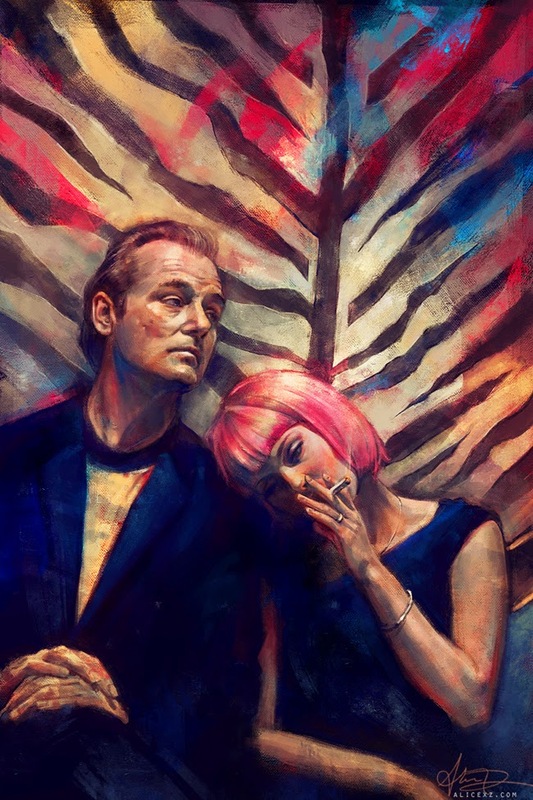 So, for instance, a movie like Lost in Translation could be considered a masterpiece because it so perfectly embodies the idea of two fish-out-of-water lost souls coming together to share what enjoyment they can find in a strange place they don't understand. The movie continuously keeps this theme in mind, so if the resulting mood is "your thing" then this will be the best movie you've ever seen. At the same time I feel like this is one of those movies out of which different people can get different things. For my part it reaches toward a fantasmatic, pre-symbolic humanity. It takes two people out of their element and puts them into a completely different culture in order to try to get at a sense of what we're like outside of culture. So much of our interaction is prescribed and oddly predetermined (Bill Murray's calls from his wife especially) that it feels like you have to cross an ocean to get away from it all. There's so much heart here, and as usual I tried to explain that in the most austere, ascetic way possible (it's because I'm not a human). I'm bad at writing transitions and I loved the comedy in this movie. So many comedies today feel like funny scripts rather than funny movies and could just as easily be delivered as stand-up. They don't use cinematic elements to tell their jokes, like framing or editing or sound mixing or lighting cues, they just say or do funny things. There's so much more to movies than funny dialogue. This video (8min) explains what I'm referring to in more depth than I want to in a review like this, so check that out if you're interested. Needless to say, from the shot of Bill Murray towering over everyone in the elevator I was sold. One or two of the jokes felt like "haha, other cultures are funny" and I occasionally got a sort of "Eat Pray Love," escape-into-exotic-alterity vibe, but for the most part this was one of the most emotionally engaging movies I've seen recently, and for a jaded movie bum like me that's more important than some fancy camera angles. I'm really tempted to make a few counter-intuitive comparisons, so if you want to check out now then go right ahead, I don't have much more to say anyway. If you're just curious what Bill Murray whispers to Scarlett Johansson at the end of the movie, it was the only thing which, by not being audible, cannot be lost in translation. Lost in Translation reminded me first of Under the Skin, and not just because both movies have lots of Scarlett Johansson's legs. They both get at a core element of humanity on its own extracted from the surrounding ideology, although the two movies couldn't approach it from more different perspectives. It reminded me of Gravity because both feel more like attempts to construct experiences than attempts to participate in their respective genre conventions. Again, very different goals (warm love vs. cold fear), but similar methodologies. Finally and most obviously it reminded me of Her because of the unexpected and unexpectedly perfect romance, except in this scenario Scarlett Johansson is Joaquin Phoenix and Bill Murray is Scarlett Johansson. 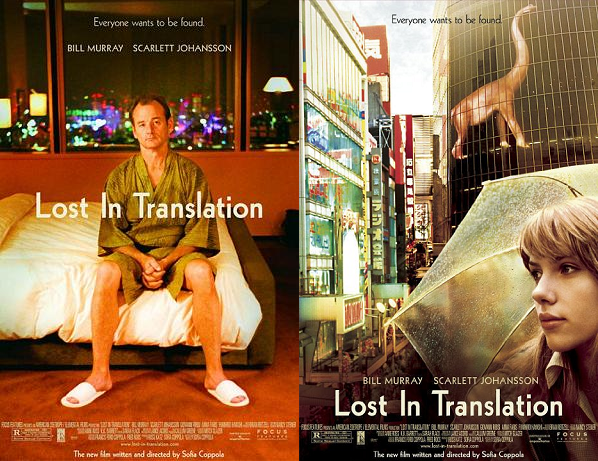 Ever detected of the phrase "lost in translation"? It means once one thing is translated, the precise which means of the initial is either somewhat mistranslated or utterly wrong. Ergo, the which means is lost in onine translation. In some cases, the result's simply one thing wrong or perhaps slightly unpleasant, simple to repair the matter. What Is Under the Skin, and Why Is It Important? Why Should Snowpiercer Make Us Angry?